2015 has been a bittersweet year for gaming. 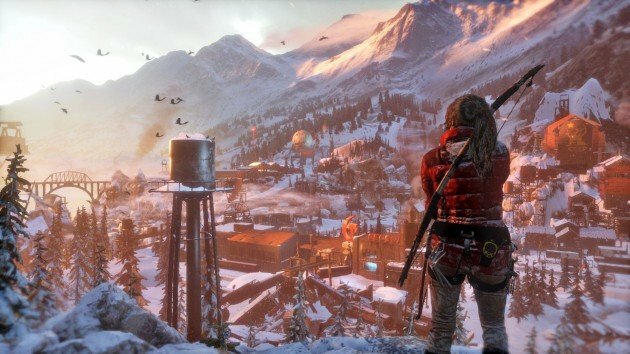 We’ve seen countless sequels, an overabundance of open-world games, the usual triple-A shooters, tons of Steam Greenlight asset flips, and even a few new IPs to polish off the list. While almost too many games found their way into our consoles and virtual libraries, only a few conquered my heart in any long-lasting way. While this list is in no way a definitive list of the absolute best video games, I’ve painstakingly plucked five fantastic games from the herd that I sincerely believe deserve the highest of praise. This list is in no particular order apart from the final pick; let’s begin. Rise of the Tomb Raider is the only game on this list that I haven’t completed, and yet in the time I have spent with Lara, I am utterly enamoured by the incredible job Crystal Dynamics did with this sequel. Tomb Raider got a lot of things right as a reboot, but it also had its set of flaws that held it back. Rise impressively fixed and improved upon every single aspect of the original reboot in such a way that it has become almost an instant Game Of The Year contender for me. I’ve done almost nothing other than play this game this past week. From sprawling landscapes filled with relevant items to collect, to the treks through rich and detailed environments that feel as if they exist in a real place – rather than constructed stages for the player to trudge through without real context -, Rise offers nothing but joy throughout. It’s also worth noting that Crystal Dynamics deserves praise for their take on open-worlds, as this world felt worth exploring amongst dozens of boring, dull worlds to grind through endlessly. 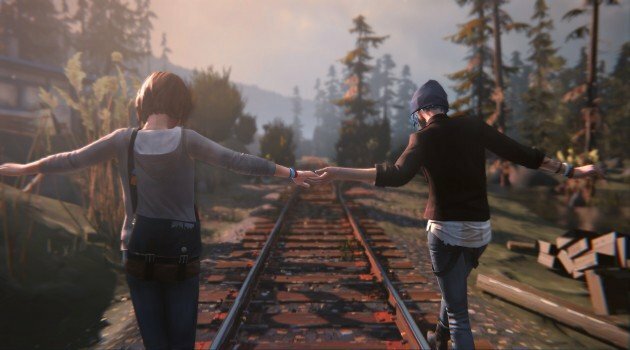 I paid no attention to Life Is Strange at first. I had no interest in playing it and I assumed it’d be some weird Telltale clone. After my friend had spent hours talking about how excellent it was, I decided to buy it one night on a whim, hoping that this wasn’t just some hype. It wasn’t. In fact, Life Is Strange ripped my heart from my chest and spat all over it, and I loved every moment. The main draw to this story is that the characters are so incredibly well written. Every single person, minor or major, feels like a real person. They have distinctive personalities and characteristics that make them stand out in a sea of copy-paste characters. I remember everyone, even if some of them are a bit cliched, and that is rare indeed. Chloe and Max have a deep, and complicated relationship and Max receiving her powers puts such a strain on not only her but everyone around her. The dialogue in the game is sometimes a bit silly but, for the most part, it is engaging and feels like you’re watching some indie flick. The plot starts off very simple but soon delves into something bigger than you could expect. The whole time you’re sitting there questioning what is happening, only to get a sucker punch to the gut when the game reveals that you are in fact clueless about what is really going on behind the curtains. It is all backed up by good voice acting, solid pacing, memorable moments and excellent music. A very attentive eye to even the smallest of details and countless references to pop-culture and even the state of Oregon leaves this game nearly oozing character. Play it, but don’t read anything else about it. I remember trying out StarCraft when I was in public school. I hardly knew how to play, but I adored the atmosphere and interesting mechanics. Fast forward to now and StarCraft is amongst my favourite franchises of all time. Legacy of the Void is a perfect culmination of what the fans wanted and what Blizzard learned over the past several years making RTS games. They put a ridiculous amount of effort into this game, making sure that the story goes out with the biggest bang ever. 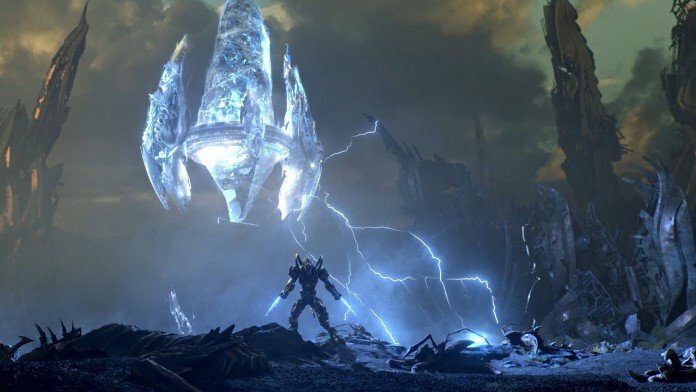 From the brand new co-op mode to the epic campaign filled with varied missions and interesting characters, Legacy of the Void is not only the best entry in the StarCraft series overall but reminds everyone that the RTS genre can still be a heavy hitter. But it doesn’t end there, as the biggest change to the franchise is how improved the multiplayer is. Gone are the slow starts. Gone are the ultra-cheesy Protoss openers, and gone are the slow economic macro games. Blizzard has tried its absolute damnedest to make LOTV as fast paced as possible, and it’s almost too much to handle. Every second there are 50 things happening on screen, and you have to physically train yourself to adapt to it. The incredibly delicate balance of constructing buildings while simultaneously collecting resources, scouting your opponent to react to their next moves before they execute them, building an army, pushing your units into dangerous territory to keep the enemy suppressed and afraid, expanding your economy into new frontiers to reap new mineral patches, and using your mind to psyche out your opponent in a variety of devious ways all attribute to your success, and everything is now way faster. The new units don’t help either, as they are game changers themselves. Protoss now have their form of a Baneling, yet regenerates itself upon destruction. Zerg has its trusty Lurker that hides beneath the ground, thrusting its spikes into the bodies of anyone standing in their vicinity. The Ravager launches deadly attacks into the sky, obliterating anything that stands in the way. Terran possesses the Liberator, a siege tank that flies and holds down a position like the beaches of Normandy, and the Cyclone that laughs in the face of cheesy Protoss that want to drop an Oracle at your main base three minutes into the game. This multiplayer can be talked about endlessly, and that is all thanks to you, Blizzard. Legacy of the Void is a monumental achievement and the absolute best way to end your long-running story. I’ll be spending the next year or more playing this legacy, watching the Korean players with their 700 APM. I haven’t cried during the opening sequence of a video game since The Last Of Us; until Ori came along and stomped on my heart, that is. This breathtaking masterpiece transcends the medium and offers one of the best pieces of evidence towards the ‘games as art’ debate. The beautifully vibrant hand-drawn Pixar art, the varied, colourful, dramatic soundtrack that offers nearly every emotion on the spectrum. Or how about the terrific story or the old-school gameplay that shows Metroid and Castlevania how it is done? What about the nearly flawless platforming segments and unique take on 2D combat? Everything about this game is memorable and inspired, and it is not only one of the best games this year but one of the best pieces of art I’ve ever experienced. It has an emotional weight to it that many games fail to have and it is a game that will make you think about it well after it is done. Ori has that power over us all. Bloodborne is a part of the long-running franchise that is the Souls series. Though it differs in name and mechanics, it is still very much a Souls game. As a spiritual successor to Demon’s Souls, one of the best games ever created, it had everything to live up to. It nailed nearly everything. Bloodborne is easily recognizable with its exceptionally stylized, painstakingly well-crafted world. It takes gothic architecture and runs with it to a degree that I don’t think I’ve ever seen before in any video game. Winding roads of cobblestone covered in blood and disguised by fog, twisting corridors filled with tattered garb and signs of a once thriving society. Endless swamps and caverns and castles, all with their mysteries and shocking imagery to behold. It utilizes Lovecraftian themes and puts the Miyazaki twist on them with the story-telling style of previous Souls games. It tells you to part ways with your best friend, the shield, and instead pick up one of the several firearms as you adapt to the new, visceral combat that is, even more unforgiving than previous games. It offers you ‘trick weapons’, transformable weapons that each require careful strategy to fully utilize. 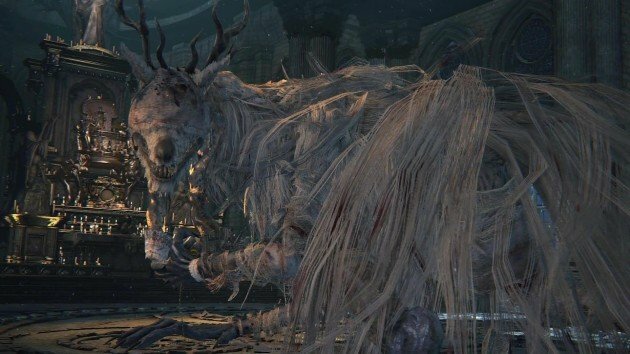 The game has incredible creature design, with horrific foes you can only imagine in your worst nightmares. The world has a foreboding atmosphere so thick that you can taste it. The hair on your arms will stand up, your skin will crawl and turn to goosebumps, and your heart will pound so hard you think you are in need of medical assistance. This game gives you emotional responses that not even some extreme sports could offer. It is a one of a kind experience and one of the best, industry defining video games ever to grace any of our consoles. It will be forever remembered and forever praised as it sits at the top of the tallest pedestal amongst the best classics we’ve ever had. And yet, with all of that said, I was only referring to the original game. The Old Hunters expansion improved the game significantly, correcting nearly all of the biggest complaints fans had with Bloodborne. Before we say goodbye to 2015, I’d like to quickly drop a few honourable mentions that unfortunately missed the top five. Splatoon – A fantastic and creative spin on the first person shooter. Full of character and interesting mechanics. Yoshi’s Woolly World – The most adorable, happy and all around silly platformer this year. Maybe a bit easy, but infinitely fun. The Witcher 3: Wild Hunt – The best open-world game I think I’ve ever played. I didn’t play enough to feel good about placing it on my list. Xenoblade Chronicles 3D – One of the better JRPGs in recent memory. Shovel Knight – An impeccable throwback to retro gaming. Only missed the list because it first released out in 2014.